Tri-City Taekwondo offers adult classes for students aged 14 years and over, 5 days a week! Our adult programs are for all levels of skill. We treat all of our students with respect and emphasize the positive attributes of our students, helping them gain self-esteem, improved physical fitness, and reduction of stress. We encourage the participation of men, women, parents, and grandparents because we truly feel that adults can benefit from martial arts training just as much as children can. We believe that values are caught, not just taught. Therefore, modelling respect, physical health, and perseverance in your own practice will also help your children develop these attributes. Martial Arts, such as Taekwondo have many mental benefits developing sharper focus and stronger indomitable spirit which result in a huge competitive advantage in the workplace and at home!  Get in the best shape of your life by exercising with us at Tri-City Taekwondo where you will get the latest exercise physiology and great cardiovascular conditioning at an individualized pace. I have been training at Tri-city for almost 5 years. It’s a great stress reliever and I get in shape too! Trust me, I do get a good workout because everyone is so excited and motivated. If seeing is believing, then you should come out and try a class for your child or even yourself. You won’t be disappointed.